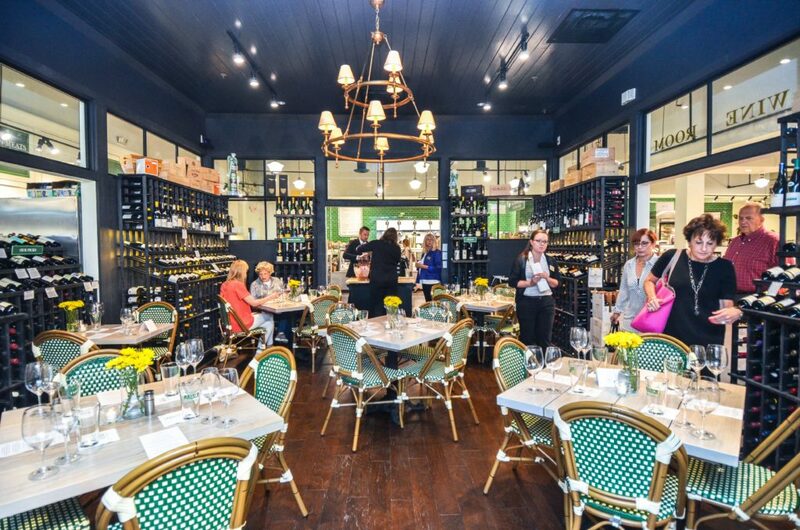 Book Our SouthPark Wine Room For Any Private Event! REID’S WINE ROOM AT OUR SOUTH PARK LOCATION OFFERS LIMITLESS POSSIBILITIES TO CELEBRATE YOUR HOLIDAYS. WE CAN ACCOMMODATE UP TO 25 GUESTS IN OUR WINE CELLAR, FEATURING RECEPTION HORS D’OUVERS PERFECTLY PAIRED WITH WINES, IN ONE OF THE MOST DESIRABLE SETTINGS. WHETHER TO HOST A PRIVATE PARTY OR TO CELEBRATE YOUR COWORKERS WE CAN CREATE A MEMORABLE EXPERIENCE. A WINE GIFT CERTIFICATE TO A SERIES OF THREE WINE CLASSES THROUGH OUR SYSTEMATIC "SEE-SMELL AND TASTE" APPROACH ARE ALSO AVAILABLE.